Surrounded by her family, Anna Zurawski, age 93, passed away Wednesday, January 10, 2018. Anna was born on November 21, 1924 to Robert and Frances Noll. On May 10, 1947 she married Frank Zurawski at St. Matthews Catholic Church in Oak Creek, who preceded her in death on April 25, 2012. She was a homemaker by choice raising her five sons. She is survived by sons Francis (Leanne), Gerald (Christine), Dan (Frankie) all of Racine and Patrick (Jackie) of Theresa, WI. Also survived by grandchildren Adam (Nyla) Zurawski of New York, Terasa (Jeremy) Haase, Alaina (Matt) Eckert, Andrew Zurawski, Jennifer (David) Willing, Peter (Angela) Zurawski, Steven (Katie) Zurawski, Mark (Sarah) Zurawski, Sarah (Matt) Leopold of Colorado, Amy (Brent) Paeth, Anna (Ryan) Zavodnik of Madison, Katie (Patrick) Jatczak of Fond du Lac, Sam Zurawski of Theresa, and 14 great grandchildren. She is further survived by sister Frances Horvath, brother-in-law Donald (Lee) Zurawski, sister-in-law Jan Carretta, sister-in-law LaVerne Noll and many other family and friends. She was preceded in death by husband Frank, her son Paul, 10 brothers and sisters, and many relatives and friends. A Mass of Christian Burial will be celebrated Tuesday, January 16, 2018 at St. Rita Catholic Church, 4339 Douglas Avenue. Interment will follow at Holy Cross Cemetery in Caledonia. 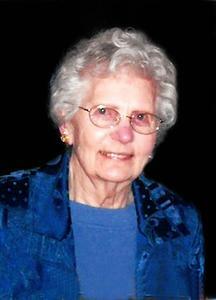 Visitation will be at St. Rita’s Catholic Church, Tuesday 9:30 AM until 10:45 A.M. In lieu of flowers memorials to St Rita’s Church or a charity of your choice have been suggested.